Up to 6 miniatures of the Space Marines find a safe place in this Half-Size foam tray. The different sized compartments are ideal for keeping larger or bulkier models of your army clearly arranged and well protected. The insert is particularly suitable for warriors with a flight base, such as the Primaris Inceptors or the Suppressors of the Vanguard Space Marines. The Centurions can also feel secure here. 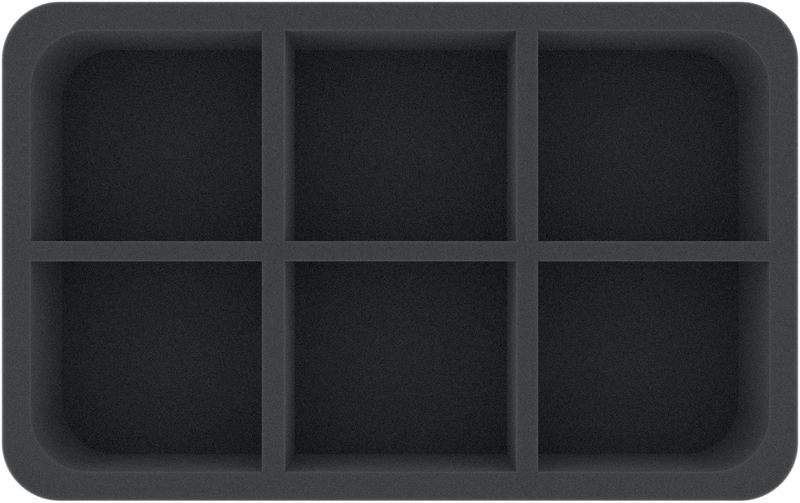 Each of the 6 compartments is 73 mm long x 80 mm wide x 50 mm deep. 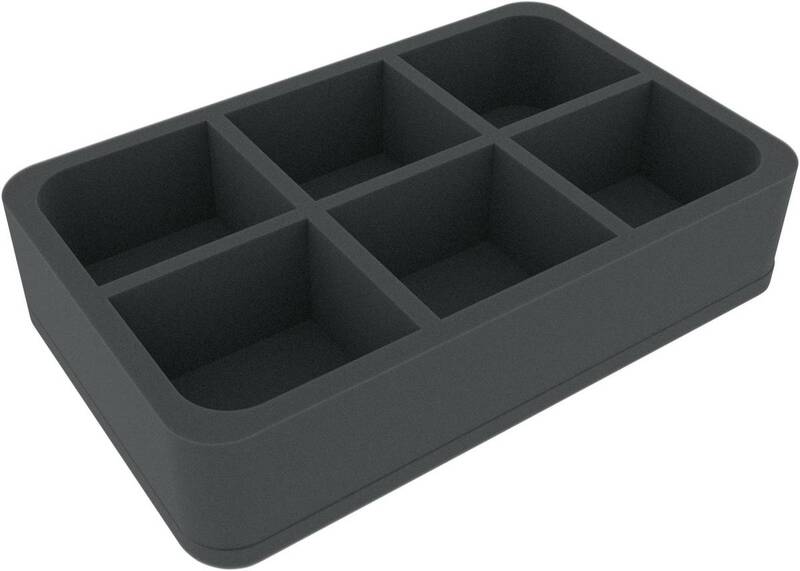 The foam tray has the following dimensions: 275 mm x 172 mm x 60 mm total height (50 mm usable height + 10 mm foam base).